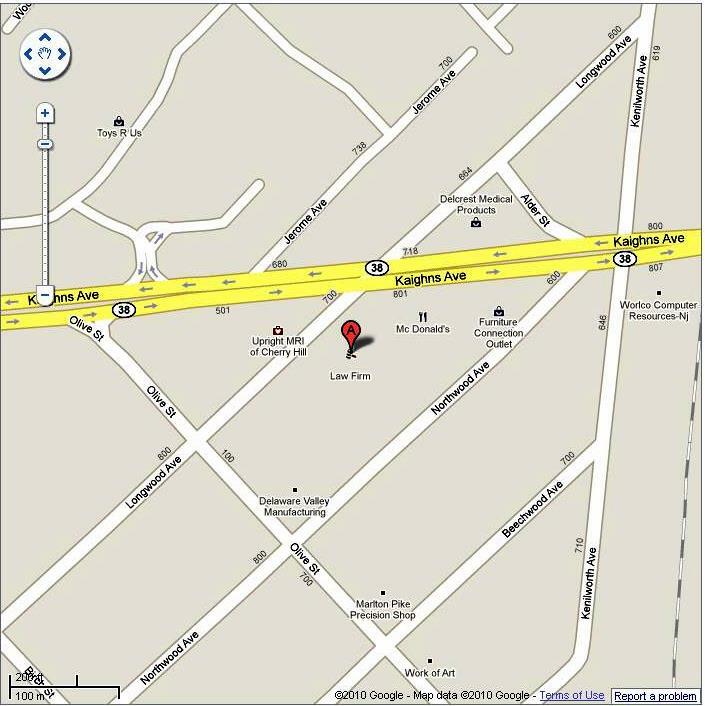 Our law office is located at 601 Longwood Avenue in Cherry Hill, New Jersey. Copyright (c) 2005 Jozwiak Law. All rights reserved.